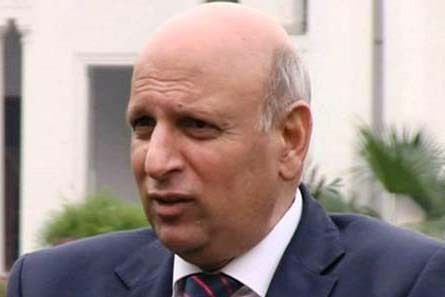 LAHORE: Punjab Governor Chaudhry Muhammad Sarwar Tuesday said that Baba Guru Nanak’s teachings were relevant for all ages as he preached love for humanity, religious harmony, human rights and peace. Addressing an international seminar in connection with the 549th Birth Anniversary of Baba Guru Nanak, organised by Dayal Singh Research and Culture Forum Lahore at the Governor House, he said that Pakistan wanted peaceful relations with all its neighbours, adding that India should work for regional peace as per the teachings of Sikhism’s founding guru. The governor said that the Pakistani government always welcomed the Sikh pilgrims from all over the world to attend the birth celebrations, adding that Pakistan was a peace-loving country and all citizens enjoyed religious freedom without discrimination. Ch Sarwar said minorities in Pakistan could observe their religious events with full freedom and the country was among the “safest” for minorities. He said Prime Minister Imran Khan would lay the foundation stone of the Kartarpur Corridor on Wednesday and it would be a gift from the government of Pakistan to the Sikh community. He also said that Pakistan Tehreek-e-Insaf (PTI) government, under the leadership of PM Khan, put in place exemplary measures to facilitate the Sikh pilgrims and added that all issues, including visa process and others faced by the Sikh pilgrims, would be resolved at the earliest.